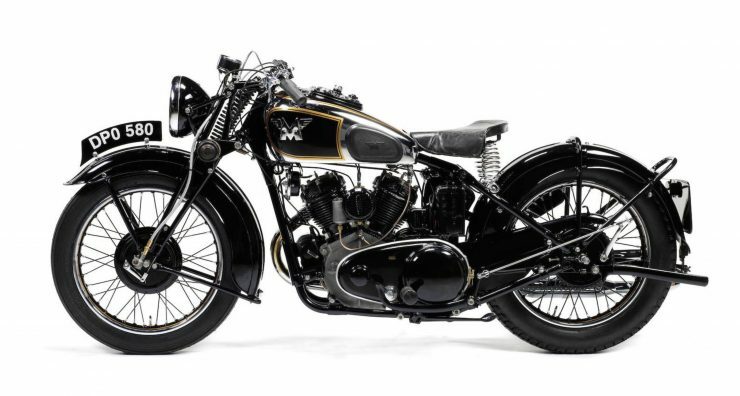 The Matchless Model X was released in 1929 and sold until the Second World War got underway in 1939, with the final examples being built in 1940. 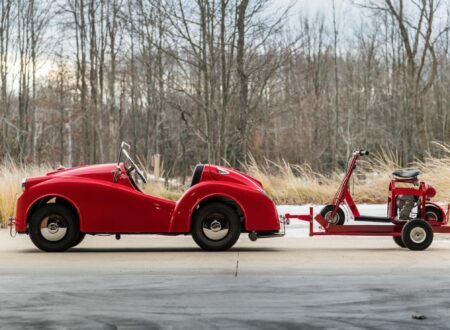 It was characterised by its 990cc V-twin, a hefty side-valve engine perfectly suited to sidecar hauling. 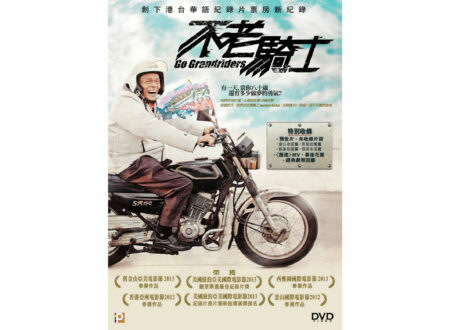 Riders without sidecars attached enjoyed an exceptionally fast motorcycle for the age, capable of 80+ mph and 70 mph from a standing start in the quarter mile. 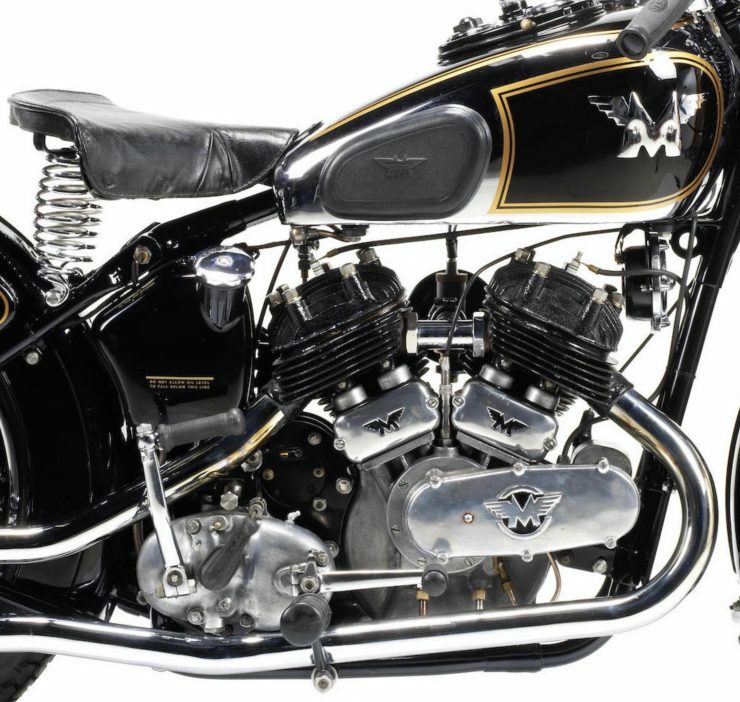 Founded in 1899, Matchless had started out manufacturing bicycles before beginning to experiment with installing simple gasoline engines into frames. 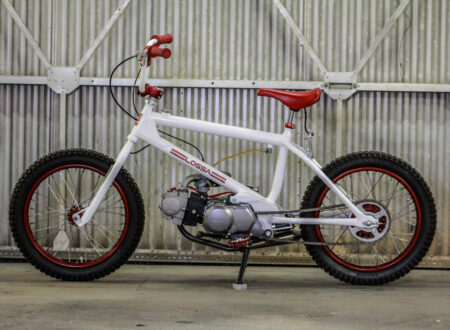 Before long the pedals were left behind and the company became dedicated to making the quickest motorcycles they could design. 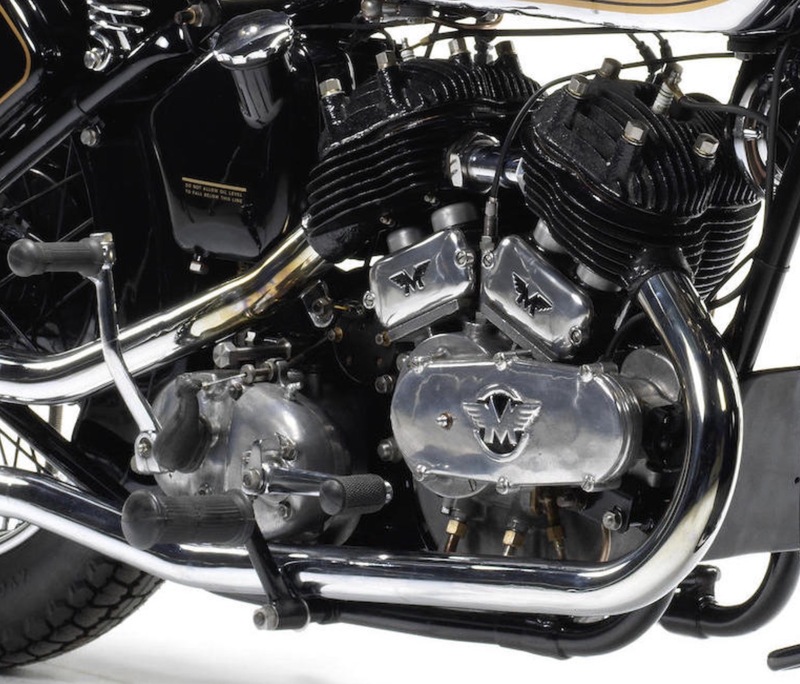 Matchless was originally named Collier & Sons – it was established by Henry Herbert Collier and his two sons – Charlie and Harry. They had one off the world’s first motorcycles with rear suspension, a simple swing-arm, and their 1905 model wass powered by a JAP V-twin (J.A. Prestwich Industries). 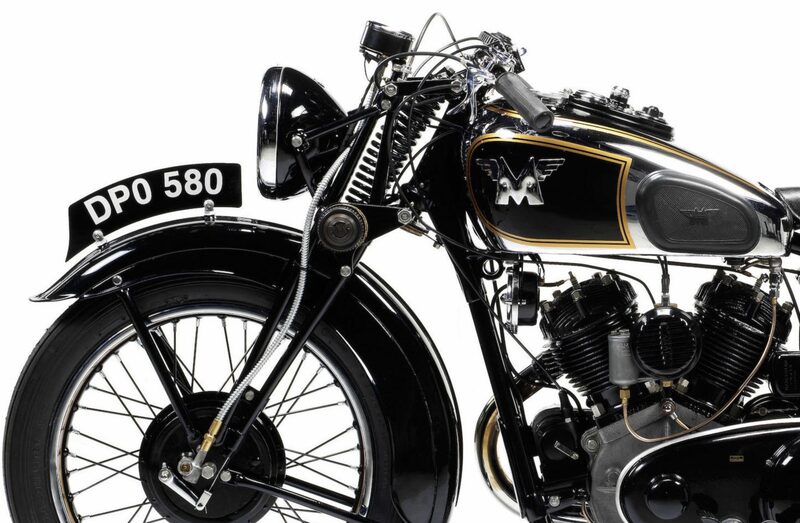 A Matchless single-cylinder would take a class win at the first Isle of Man TT with Henry’s son Charlie in the saddle, Harry won in 1909 and then Charlie took another win in 1910. 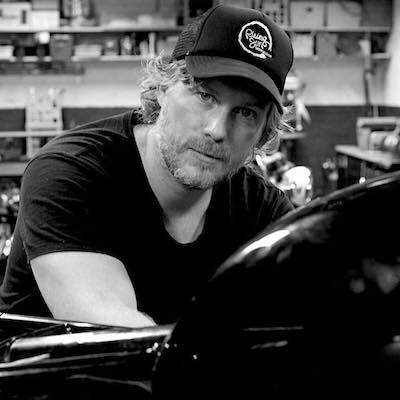 These race victories helped Matchless achieve an enviable reputation and motorcycle sales were brisk. 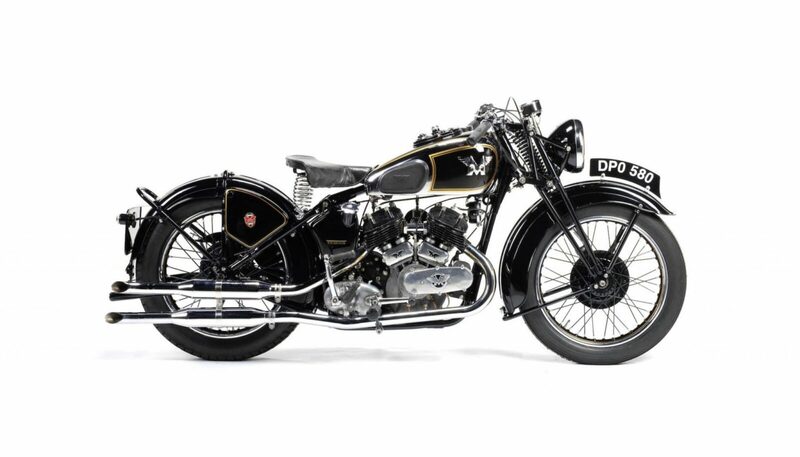 From 1912 onwards they made their own engines and in 1935 they were bestowed the honourable distinction of being chosen by George Brough of Brough Superior to supply them with engines for their SS80 and SS100. Such was the success of Matchless that they acquired AJS, Francis-Barnett, James, and Norton over the next few decades. 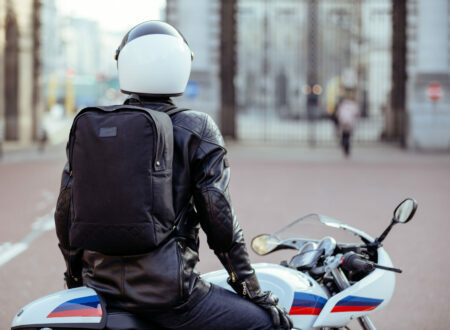 Sadly the company fell into difficult economic territory in the late 1960s along with many other British motorcycle companies, it was briefly revived in 1987 but failed to gain momentum. In recent years the company has been brought back and a series of renderings of a new Model X have surfaced – but as is often the case with marque revivals it’s good not to get too excited till vehicles actually start shipping. 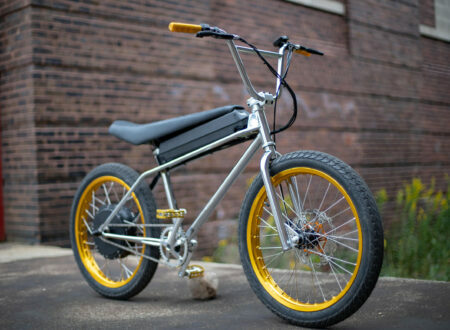 The Matchless Model X was called the “Sports Tourist” later in its life, it benefited from a strong, re-inforced frame developed for sidecar use. 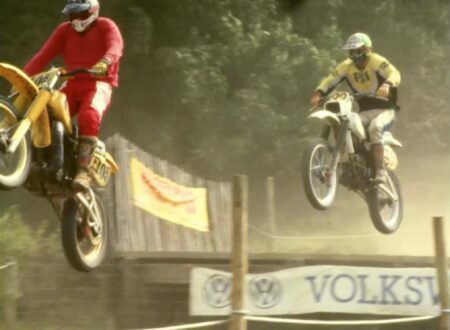 This gave the Model X exceptional rigidity for the era, and greatly benefitted handling when not fitted with a sidecar. From 1936 onwards the Model X was redesigned, and featured a new shorter-wheelbase frame which further improved handling and steering when being ridden without the sidecar attached. 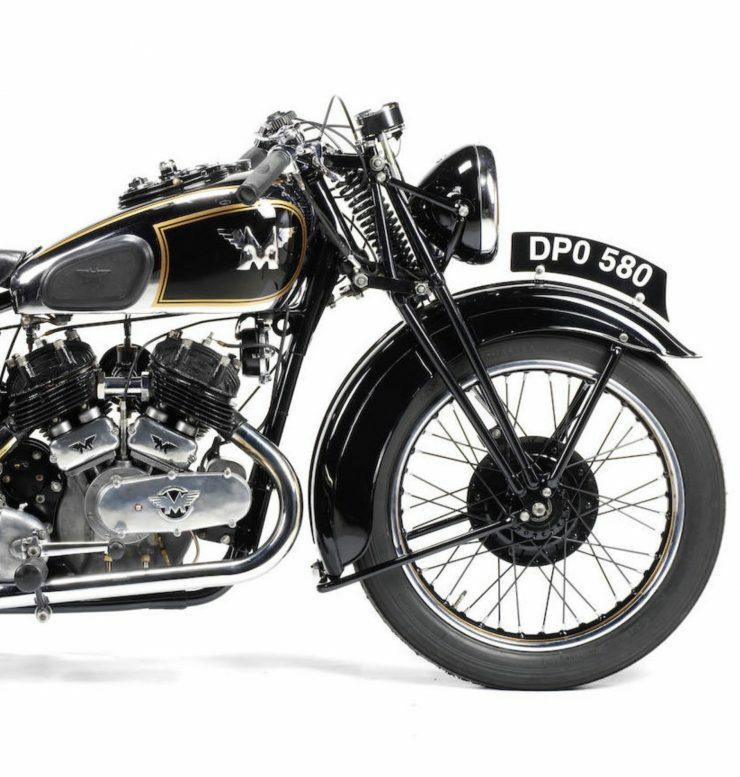 This new Model X was reviewed by The Motor Cycle in May 1937, they made comment that the steering was light even at higher speeds (in excess of 60 mph), and they described the engine as being delightful. The beautifully presented Matchless Model X you see here is a 1937 model – so it benefits from the new improved frame design. 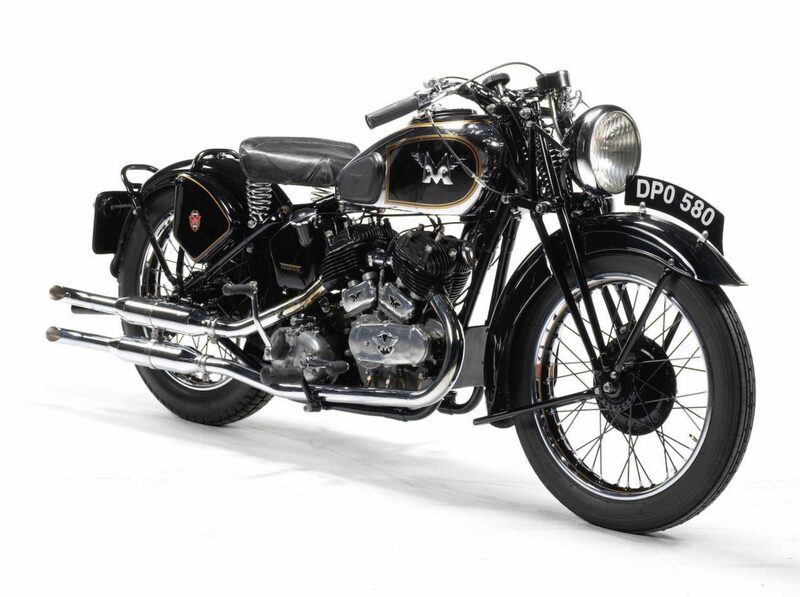 It’s presented in beautiful original condition throughout and is due to be sold by Bonhams at the Spring Stafford Sale on the 23rd of April with an estimated value of between £26,000 and £33,000. If you’d like to read more about it or register to bid you can click here to visit Bonhams.